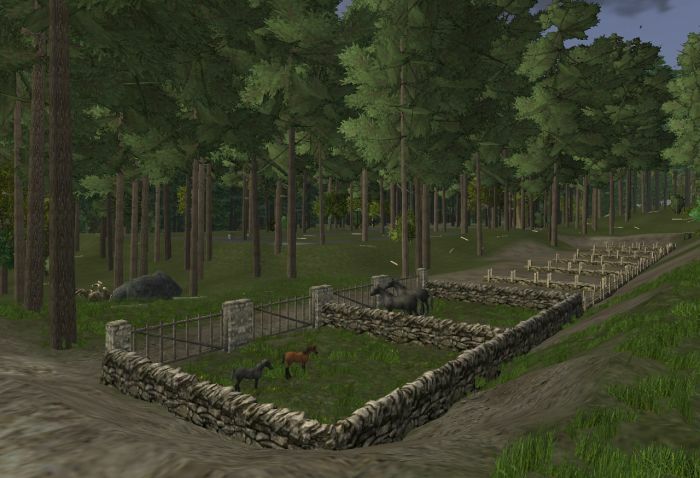 The Meta Game of Horse Breeding #WurmOnline – Nomadic Gamers, eh! One of my favorite things to do in Wurm Online is breed animals. Not just the regular sort that are actually useful (horses for riding and pulling carts) but all sorts of animals that I find in the wild. This is made infinitely easier with the help of a Fo priest who has access to charm. In order to breed animals successfully I find it helps to have them in a 2×2 pen paired up with their partner. It’s easy to check traits, and less worry about disease (overcrowding can be an issue). There are 19 different traits that animals can have when bred, first generation creatures do not come with traits. Ideally players want horses that have the 5 ‘speed’ traits. These horses sell for more than your average creature, and are highly sought after. You need to work your animal husbandry skill in order to see these traits, and I use a very amazing program called Wurm Assistant that helps me keep my herds under control. Inbreeding horses is a bad thing and can leave them with negative traits – but – since I have a Fo priest I can cure these negative traits with a quick genesis cast. Along with the four horses pictured above, I now have three unicorns (one a champion that I have had absolutely zero luck getting to breed), three deer (I used to have two, one just gave birth), a cow, and a hen. I’m hoping to find a bull wandering around my island, since the creatures don’t swim and they can’t be transported I have no way of obtaining one. All in all, I think I’m off to a pretty good start. As always, happy gaming no matter where you find yourself!